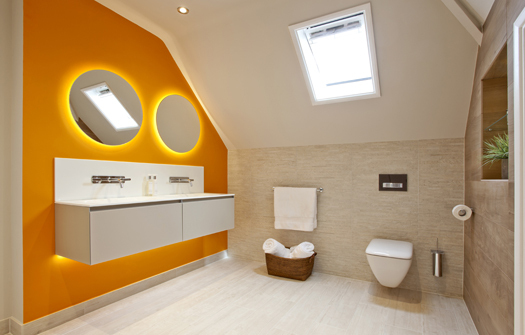 Top of many people’s lists for their new bathroom or shower room is that it needs to be easy to keep clean. 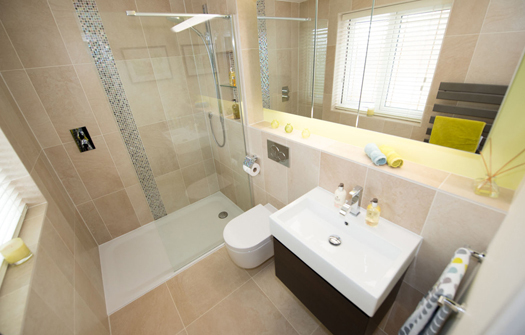 Fitting a walk-in shower or a complete wet-room instantly ticks this box. By doing away with shower unit doors, hinges and ridges, your room instantly looks cleaner and less cluttered and becomes easier to look after. Walk-in showers are particularly suited to teens or young adults who don’t want to have to remember to shut a door behind them or worry about whether they are dripping on the floor after a shower. By choosing a walk-in shower enclosure, you are effectively making the whole room a continuation of the shower, reducing awkward edges and making getting in and out of the shower easier, particularly if your mobility is limited. 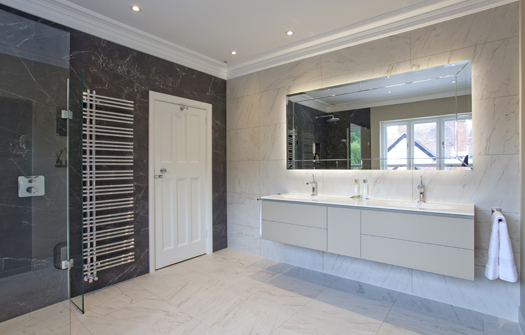 You can opt for a low-level shower tray, or even do away with the tray altogether, continuing the flooring right into the enclosure itself, in the style of a wetroom. Of course, it is important to make sure you choose a non-slip flooring to keep your family safe. 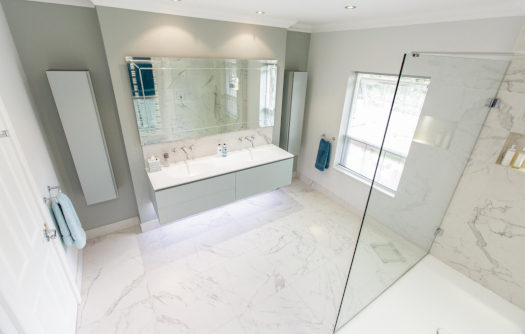 By adding LED lighting and luxury touches such as composite worktops, you can bring your shower room up to hotel bathroom standard.